The house has four spacious bedrooms and sleeps up to 7 people. There is also a large timber sundeck, with outdoor setting and BBQ, as well as undercover parking. 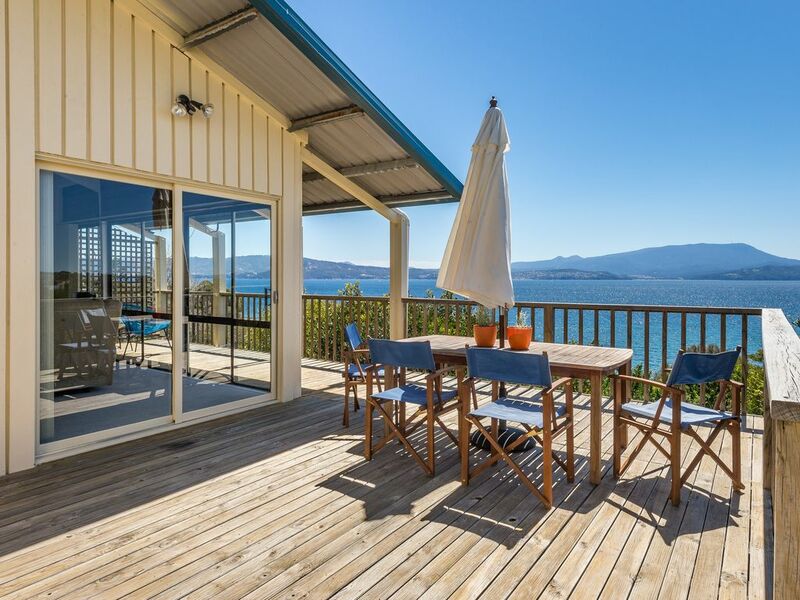 Just 40 minutes from Hobart and 30 minutes from Hobart Airport, the house is only metres from the water and close to nearby shops, surf beaches and parks. Views were beautiful,unfortunately we had no water for the first day,you realise how hard it is to do everything with bottled water. No fly screens on some of the windows,no window coverings on one of the bedrooms,the other bedroom was unable to close the door,some general maintenance badly needed. Thanks for taking the time to review the property Marilyn. My apologies again for the water situation, as you know I only became aware of the urgency of the situation the day you checked-in and it was resolved the next day. Regarding the temporarily missing blind and door not closing (both affecting bedrooms your group wasn't using) they were addressed in the days after you left along with some other maintenance tasks after a very busy Summer. Next on the agenda is full kitchen renovation, floor covering replacement and landscaping of the backyard. Beautiful views, easy access to beach. Comfortable house for a family with a relaxing shack character. Kids loved the table tennis table. South Arm Beach house is a wonderful house. It was more than big enough for our family of 6. It has lots of living area space and is right on the beach. Thank you for an excellent stay. The house is spacious, easily accommodated 5 adults and 3 kids. Unfortunately it did not have wifi and dishwasher. Beautiful property by the beach! Excellent home in great location. Has everything you need and is close to beaches and shopping.